Best Locations for Real Estate Investment Around Chandigarh – The City beautiful, Chandigarh was the first planned city in India. Designed by Swiss-French architect Le Corbusier, Chandigarh grew up to become a renowned face of perfect cities in the world. The perfectly well-planned architecture, modernization and positive cultural growth have been the driving force. If you are looking for best locations for real estate investment around Chandigarh, and then we have the options listed for you. The Union Territory, Chandigarh has been the first and foremost choice of a multiple of estate builders when it comes to residential and commercial properties. The focus is shifting to nearby locations. This is due to vast population, land scarcity, high prices and many other factors. Chandigarh capital region or Greater Chandigarh has been the best locations for real estate investment around Chandigarh. These include Chandigarh, cities of Kharar, Kurali, Mohali, Zirakpur (in Punjab) and the city of Panchkula (in Haryana). The planned townships of Tricity (Mohali, Panchkula, and Chandigarh) are the major places one can see a good place for real estate investment in near future. It is located to close proximity to VIP Road, Patiala Highway, Mega Stores like Best price & Metro, Chandigarh Airport, Gold coarse etc. Zirakpur is more economical than Delhi/NCR in terms of resource, investment and returns. Good connectivity with Chandigarh and its adjoining places like Mohali, Panchkula, etc. Low operational costs and high disposable income are a major key factor for growing business in Zirakpur. The Baltana – Zirakpur-Panchkula-Kalka Highway or Zirakpur-Kalka highway, Chandigarh-Ambala expressway, and Chandigarh-Patiala highway merge at Zirakpur making it a central place. Mushrooming commercial projects like GBP Centrum, Maple Apartments, Chandigarh City Centre, Maya Magnesia, Golden Sands, Motia Workspace etc. It is home to some of the best universities and places of higher education. Many students and people come looking for PG and accommodation here which is highly in demand nowadays. The transporation system is affluent and smooth. It works 24×7 as it links the roads to big cities like Delhi, Chandigarh etc and mountains areas like Shimla, Kasauli, Morni Hills etc. Thus, you enjoy a dual location for traveling, visting and staying as the place is serene and near to neautral night life. An emerging IT hub of Punjab, Mohali or SAS Nagar has been a popular destination for all those who are looking for future here in the commercial real estate. Located in the south-west of Chandigarh, Mohali is a part of the Tricity. It has been the face of real estate venture in Punjab. The location has been a good place of interest for investors who want to invest in commercial properties. 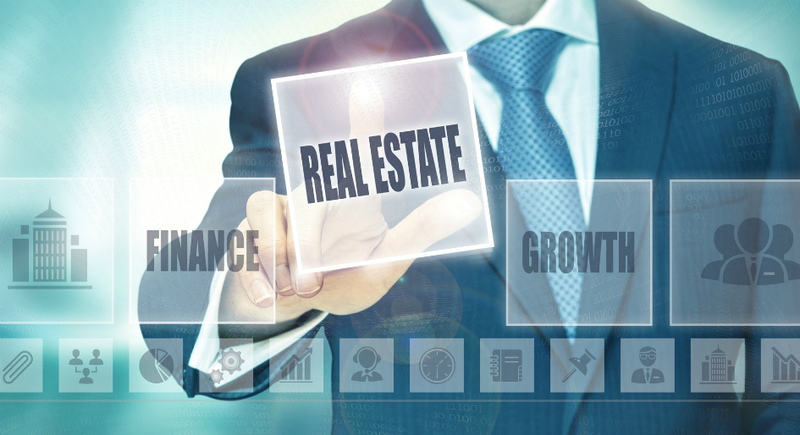 Infrastructural developments will help raise the bar for real estate market growth here. One can see a good capital investment in Mohali in coming years making it one of the best locations for real estate property investments. Chandigarh International Airport is located here in Mohali. Many well-known Universities and Colleges like Chandigarh University, Chandigarh Engineering College, Indian School of Business, National Institute of Pharmaceutical Education and Research (NIPER) etc are located here. Real estate developers like DLF, TDI, Unitech Group, Ansal Buildwell, and Omaxe Construction etc have opened their projects here. Greater Mohali or Kharar is very much proposed to become a likeable residential real estate property choice for many investors. This is due to good land price and un-ventured properties. 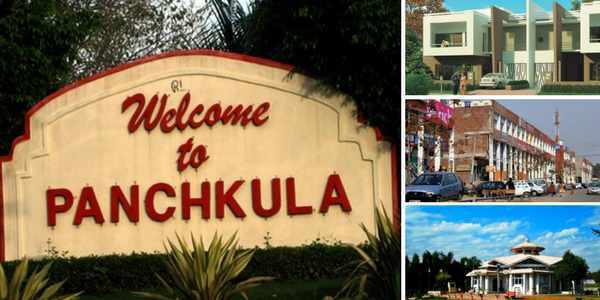 A part of Tricity, Panchkula is a city that is a situated of Haryana. It is a well-organized township which shares its borders with Chandigarh, Zirakpur, Mohali, Solan, Ambala. The Baltana – Zirakpur-Panchkula-Kalka Highway has helped ease out the traffic and increase connectivity with other places. The property prices are economical with multiple amenities like a golf course, gardens, hill stations like Morni Hills, Pinjore gardens, reputed schools etc. Budding infrastructure and developments have helped Panchkula to become a demanding place. It has been forecasted that the upcoming metro rail project will result in an increase in land prices. Chandigarh railway station situated at the border of Panchkula. The next IT Park is situated in Panchkula that is said to attract multiple of the venture in coming times making an IT hub. It is a favourite spot for real estate builder in new Sectors like 20, 21, 22, 24, 25 etc. Commercial and residential projects are blooming with various flats, apartments etc mushrooming everywhere. It is your decisions where you want to want to invest! The prices are economical in these places. The proximity and greater benefits make the above places good for investment. In case you are looking for a residential location for buying 3/4BHK flats in Zirakpur then Maple Apartments are the best.